published on the effects of tying immigration decisions to government program participation. published our annual state of enrollment in and premiums for medicare's drug benefit. 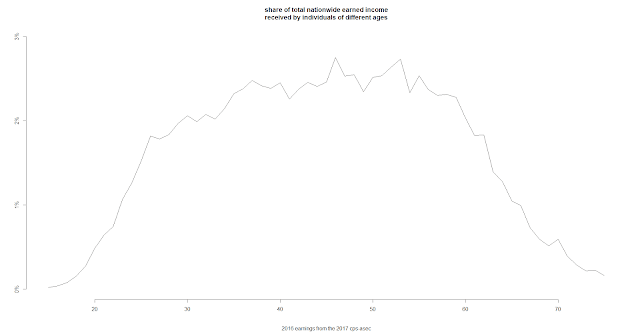 explored our highest earning years in aggregate. late thirties to late fifties. learned gorbachev's distinctive birthmark has an icd-9 code.